Mod DayZ was created based on the horror survival zombie apocalypse game. In the world of MCPE, he will add new types of zombies and weapons! If you are not afraid of zombies and like to survive in MCPE, then we advise you to try your strength with the help of a new mod for Minecraft PE! Some Minecraft PE mobs have been changed to zombies and other creatures that exist in the DayZ game on PC. Infected (zombies, piggy zombies, cadavers) are hostile mobs that roam the world day and night. Infected have great power and speed, which means they are a significant threat to the ordinary world of Minecraft Pocket Edition. 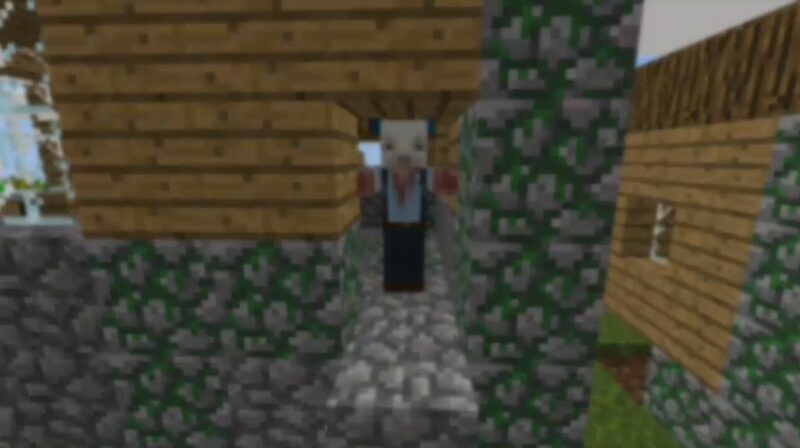 Survivors (villagers) look like ordinary people and you can find them in the villages. You can always bargain with them. Survivors are always at risk of infection. Bandits (Zimogor, Desiccant, Skeleton) are hostile mobs Minecraft Pocket Edition, who will try to kill the players. Most of them are equipped with an assault rifle, and some of them have melee weapons, so you better avoid them. Stray dogs (wolves) are lonely dogs that have lost their owners due to the apocalypse. 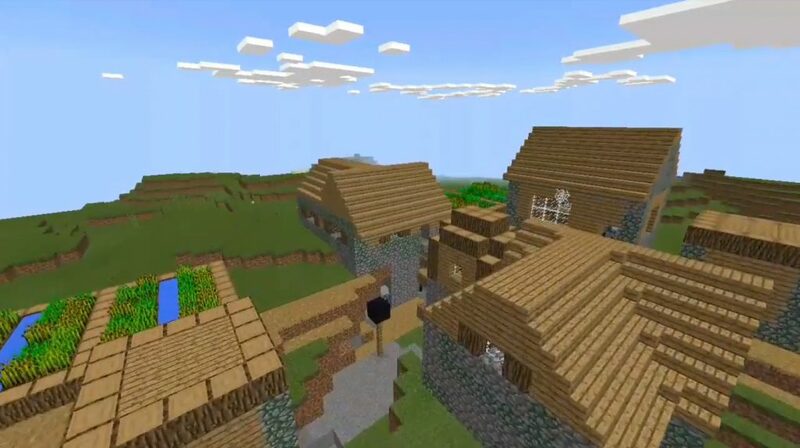 These are neutral mobs in the world MCPE. You can tame them with feed. 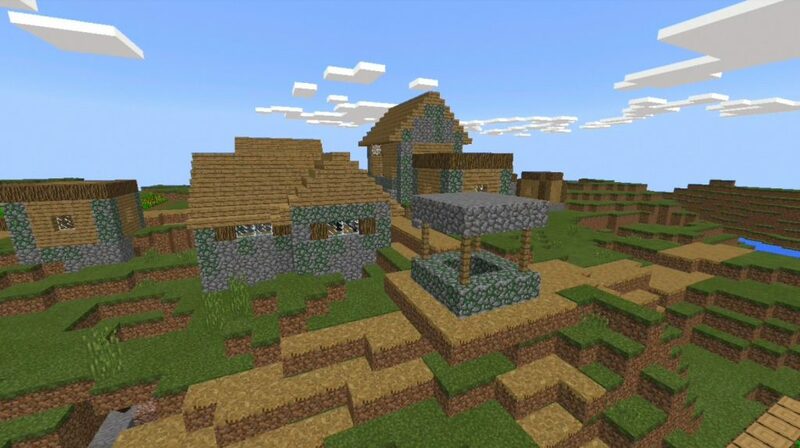 This addition replaces a bunch of items in Minecraft PE, making them more suitable for the apocalyptic world of survival. These items drop mobs, which you can find above on this page. Throwing knife (snowball): he easily discards enemies and deals damage to them. Grenade (egg): has a high explosion power, which causes great damage. Makarov pistol (Pearl Edge): deals quite high damage. AK-47 (fishing rod): difficult to aim, but deals quite a lot of damage. M4A1 (bow): has a good sight, but not as powerful as the AK-47. You also need M4A1 cartridges (arrows) to use it. Molotov cocktail (experience potion): sets fire to the territory. Canned food (stewed mushrooms): fall out from some mobs, can be purchased from survivors.